Diesel locomotive class 112 of the railway company of the German Democratic Republic (Deutsche Reichsbahn). Class 112 is back in our product program! 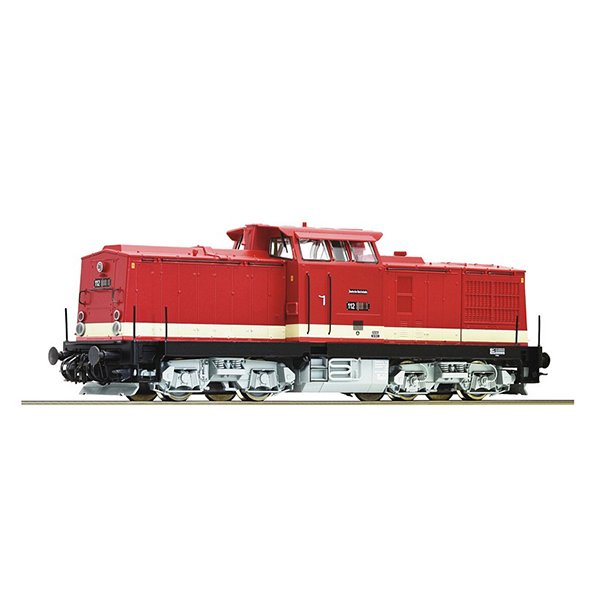 In 1972 a few locomotives of the series 110 were equipped with stronger Diesel motors (1200 hp) for experimental purposes. This was necessary to use the locomotives with express trains. Other components of the test locomotives were also adjusted. Because of the excellent test results, the Reichsbahnausbesserungswerk Stendal (National Railway Repair Works) converted almost 500 locomotives to the stronger 112 series.